Authentic tube mic preamp modeling – featuring Unison™ technology for Apollo interfaces. When Universal Audio founder Bill Putnam Sr. introduced the 610 Modular Amplifier preamp in the early '60s, it was a milestone in audio recording history. The 610 became famous among record producers for its startling harmonic detail, and rich clipping characteristics, and its ability to overdrive in a warm, ultra-musical fashion. The original 610-A preamp was integral to countless legendary recordings — from the Beach Boys’ Pet Sounds and Johnny Cash’s At Folsom Prison. Its modern variant, the 610-B, helped to create new classics by Adele and Cold War Kids. Today, you can add the same tube presence, warmth, and body to vocals, guitars, bass and more with the UA 610 Tube Preamp & EQ Plug-In Collection for UAD-2 and Apollo interfaces. With over three years of development, the UA 610 Collection represents the first comprehensive modeling of the legendary 610-A tube preamp and its modern variant, the 610-B — including their tube and transformer components and all of the unique distortion characteristics of the originals. 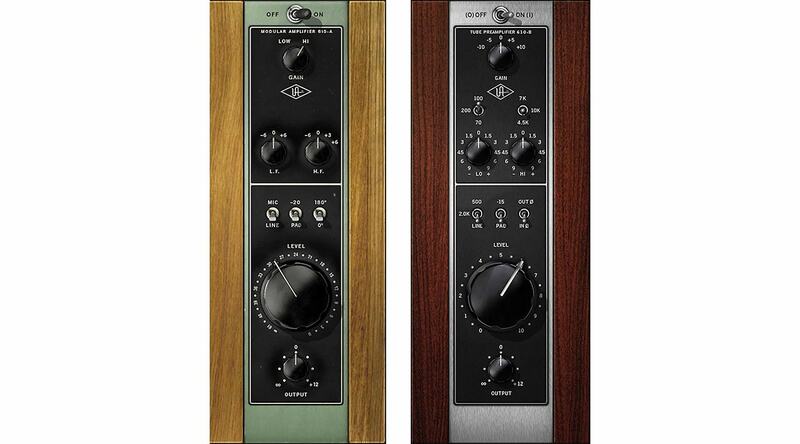 The 610-A is modeled on a channel from the storied Wally Heider "Green Board," used to record Neil Young, Ray Charles, Elvis Presley and Jimi Hendrix, and offers simple 10 kHz high-shelf and 100 Hz low-shelf EQ. The modern 610-B offers selectable input impedance, adjustable high- and low-shelf EQ, and expanded gain range. With UA’s Unison technology, the UA 610 Preamp & EQ Collection blurs the lines between analog and digital, giving you all of the 610’s important impedance, gain stage “sweet spots,” and circuit behaviors that have made it legendary. And just like their hardware relatives, both the 610 plug-ins allow Line and Mic levels, with both 500 Ω and 2.0 k Ω impedance setting options available in the 610-B. Combined with Apollo's physical preamp gain, this provides a tonal range from clean to clipped — with tons of broad, musical sweet spots in-between. UAD-2 and Apollo 16 owners can use the UA 610 Collection for mixing, adding color and saturation to any source, without going outside the box. Inject your tracks with the legendary warm, natural compression the 610 is famous for, allowing you to place instruments perfectly in the mix while giving them a rich, three-dimensional tube character. Another home run for UA! My eye rolling became a blank stare! I got the 610B with my Apollo twin, and was pretty impressed with the plugin. It seemed to add very nice qualities to any recorded signal. But then I demoed the 610A and I'm still blown away by the euphonic sound! The 610A is quickly becoming a must-have tool for my music projects. I cannot A/B against a real 610 hardware but IMHO these emulations are yet again a "level up" in modelled nonlinear audio processing. The Unison technology has vast potential and no doubt UA will introduce more sonic goodness as Unison pre plugins in the near future. My only gripe with this plugin is the intense DSP cost (justifiable because of the sound, but still!). Hopefully (solid state?) upcoming pre emus will be possible with a smaller DSP footprint? You can hear the color and it's a nice addition to any track but it certainly doesn't act like it's hardware counterpart when you drive it hard. Bit of a resource hog as well... I'm sure it will come in handy for something. This is one I should have test drove first... my bad. This changes everything for me. I always load it up and see what it can do to a sound I plan to record. I have a Fender Twin Amp with a drive channel, but it does not go that far when it comes to gain. So I load up either the A or the B version, depending on whichever I prefer for that sound. Push the 610 til I get the most wonderful compression that smoothes out a slightly harsh and incomplete guitar sound. It's the kind of compression I have only experienced from an actual guitar amp, and have been hoping someone would be able to capture in a plug-in. And the incredible fatness of the A-version eq, comes into use with this kind of amp too. Well I have used the 610 preamp for many years, and have been addicted to that sound on everything I recorded! Saw the mail from UA and thought, hmm its for free, it cant be that good. But OMG it adds the fatness and richness that you'd expect from the hardware. High on DSP, but what an amazing plugin. This is really a new age of digital audio recording along with the Unison technology. THANKS UA! I've purchased my share of API 512C's etc lately & was under the impression that there did not need to be any additional "preamp treatment" on the drums I've become accustomed to recording, now that we have a really nice 25 year old set that has aged beautifully . . . I noticed that UA was requesting a "review of my latest purchase" so I thought I'd see if the UA 610B was amongst my current plugin choices and sure enough, there it was . . . so I pulled up last night's drum tracking & I was really quite surprised almost immediately. I added it to several of the drums and let 'er rip. After clicking a few presets (UA always has pretty great places to start with these things!!) I was in love with the 610B. Nice character & edge. Glorious! I was skeptical about it. I wanted to be skeptical about it! Then I tried it on a complex mix, where I was struggling a bit to make the kick drum stand out, the acoustic guitars weren't cutting like they should and all. MY LORD!!! These pre-amps just did the job! Even leveling things to the same volume, everything found its way through! It's like they add the right harmonics to every instrument! This channel strip is such a big hype in the music business so I suspected it wouldn't impress on me all the way to heaven. I inserted it first in the chain in the master bus channel, and HOLY BIBLE how I was wrong. Just couldn't believe my ears. The 610 A and B is from now my first choice. It just sweeps the floor with the Helios 69 EQ which used to be my first choice among the Harrison 32. I'm more than satisfied. Definately a MUST buy! I just A/B'ed the plugin extensively with my real 610b. I have to say this emulation is pretty spot on! Having said that I will say that the plugin version is a little noisier than my hardware. 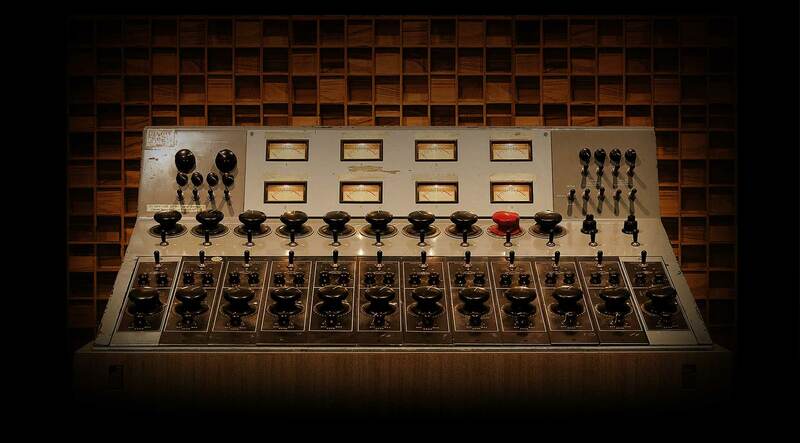 I am attributing that to the preamps on the hardware of the Apollo rather than the plugin itself. In all, I would say that this is a highly usable plugin and dead accurate as far as sound goes. I would have no problem tracking loud sources with it. You may hear the slightly greater noise floor on quieter sources but I can't wait to try this emulation when I am tracking louder sources such as drums. If the API is as every bit of good as the 610b emulation, It makes it easy to make the API channel strip my next purchase. i just did an A/B test hardware vs plugin ! I don't know if i'll ever turn on my hardware again. UA now just need to work on DPS consumption ! sounds fantastic. super creamy. the high shelves are extremely pleasant. It is really impressive to be able to emulate such sought after tube character, without the actual tube. It also works as a great distortion when you push it. I'm going to buy it. Must have for all Apollo owners. This Plugin blows me away. I tried this new plug in with my Neumann microphone an it blows me away. The warmth, the body and the super sweet high frequencies are amazing. It's like working with another microphone. The vocal now fits better in the mix. I LOVE IT. Ok I'm the first review here. First of all, thank you UA for the free plug. It's like getting four free mic pre's with my Apollo Quad. I just spent the last hour flipping back and forth between this 610B emulation and my Heritage 73jr in my 500 rack. The Heritage was almost a grand. The 610 was free. They were so freaking close it was scary. Maybe the UAD was missing just a hint of that transformer weight, but that is seriously splitting hairs. It's incredible. Thank you. I know this platform has its share of internet debate. This should end it. Love the orange lights too. Been waiting for the 610! There's really nothing like the analog version. The first few hours with this plug-in have been impressive. That "clean to creamy" sound is there. I'm how using this with the Fairchild and VOG as a bass guitar preamp. This Plug'In is SICK!!! Instant vibe... If You're looking for guts and all of that analog "fuzz", get this Plug-In. Amazing. This along with the Ampex gives me essentially what I've been hearing forever. Just wish it wasn't so DSP hungry. The UA 610 Tube Preamp Collection, I have been waiting for this for the last 4 years and am so glad UA have finally released these plug ins. I'll make this short they make anything sound fat and warm but still retain that smooth top end like only good vintage gear can do, push the input and its big and nasty. This is a winner in my opinion my go to good vibe tool. Well done UA keep up the good work your the best. The issue with plugins that emulate hardware is…is they're not hardware. It's a snapshot of the character of hardware that fluctuates according to how it's been written. Plugins simply lacks being 'alive'. So are these emulations crazy good which make me want to unload my hardware…ummm, no. But, do they help the sonic character? Well, yeah but it's like placing an emulated EQ on the source. If plugins would give me the harmonics and dimension of hardware I would give it 6 stars! So versatile it even sounds awesome on guitar!!! Just for fun I tried the 610 on guitar. I could not believe how good it sounded when I cranked the pre -unbelievable breakdown. I just had to write about it. When I added the CS-1 it was even better. It's not just that it sounded good, it sounded authentic. For me it sounded like a nice Marshall stack breakdown. I was floored. I don't usually write reviews on gear, but this was such a nice surprise I wanted to share it. I immediately got the full package after I got my eMail from Uaudio, thinking I couldn't do wrong with that. Installed the plugin, hooked up my guitar and tried to get some warm tube distortion going. But lo and behold.. Even with the normal preamp gain all the way down, when inserting the UA610 (A or B) and cranking up the input and master gain all the way, then pulling down the output volume.. I get the distortion of the normal Apollo preamp which I know quite well by now. This is nothing like banging a real 610. So, mixed feelings, lets see how this goes on.